It’s time to get your side hustle on. We know teachers shouldn’t have to work a second job. But let’s face it—who couldn’t use some additional funds? 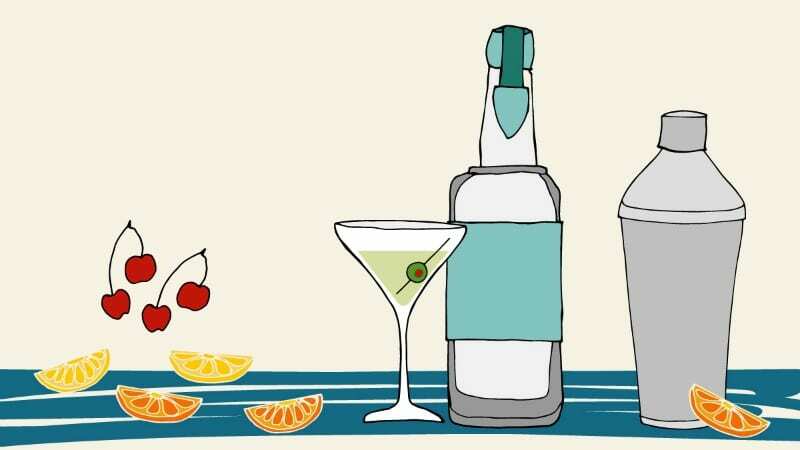 Our article on companies that hire teachers over the summer can be a great start if you’re looking for summer gigs, but we also wanted to offer these one-off options. 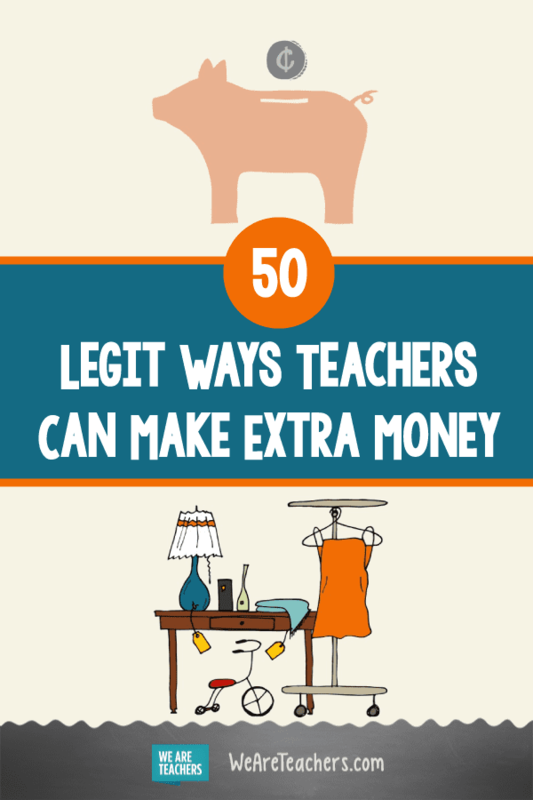 So here are some completely legit and creative ways teachers can make extra money. By the way, if you’re wondering which opportunities might be most profitable, check out this Priceonomics article that breaks down the side-hustle earning potential. 1. Sell your lesson plans. Teacher Pay Teachers has changed the way teachers get and share content. Chances are you’ve downloaded something from it yourself. So why not take your great lessons and put them on there, too? Here’s an article on how to get started on Teachers Paid Teachers. We hope it helps you. 2. Try tutoring online or in person. Check out local tutoring places to see if they’re looking to hire or post on your own ad on social media or parent or neighborhood groups. Wyzant is a great virtual option you might also want to check out. 3. Be a teacher with VIPKID. Though it’s related to tutoring, VIPKID is so big that it deserves it’s own spot. Check out this article if you want to know how VIPKID works. Here’s another article about myths around VIPKID. Do you have amazing curriculum that people are always asking you for? Maybe it’s time to write an e-book and share your wealth of knowledge while increasing your monetary wealth a bit. Kindle Direct Publishing is a good way to do this because then your work is available on Amazon, but there are other programs out there, too. 5. Make money by flipping furniture. Have you ever been to a thrift shop and come across a gorgeous piece of old furniture that needs a little (or a lot) of love? Well, with the right redo, this piece could earn you $1,000! 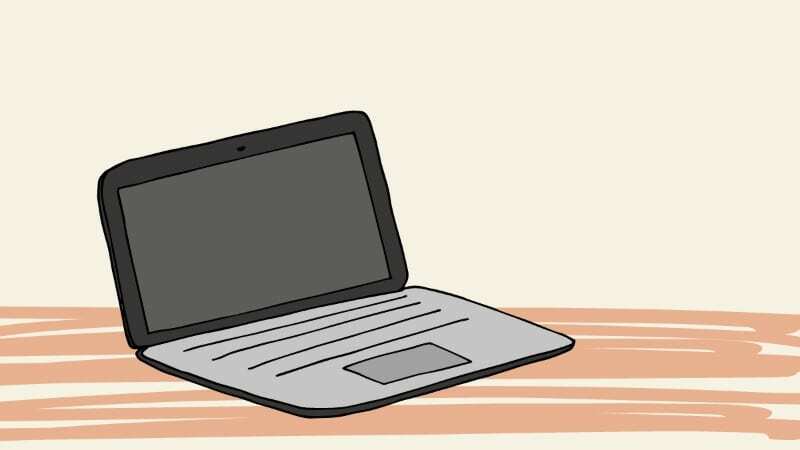 This is a legit teacher side hustle, and we love this article with great tips on how to flip furniture. Chances are most of us can stand to clean up and clean out. You can go the traditional route and hold a rummage sale. Or get it listed online, using sites like Craigslist or Facebook Marketplace. OfferUp is an app you can try as well. 7. Buy and sell designer brands. 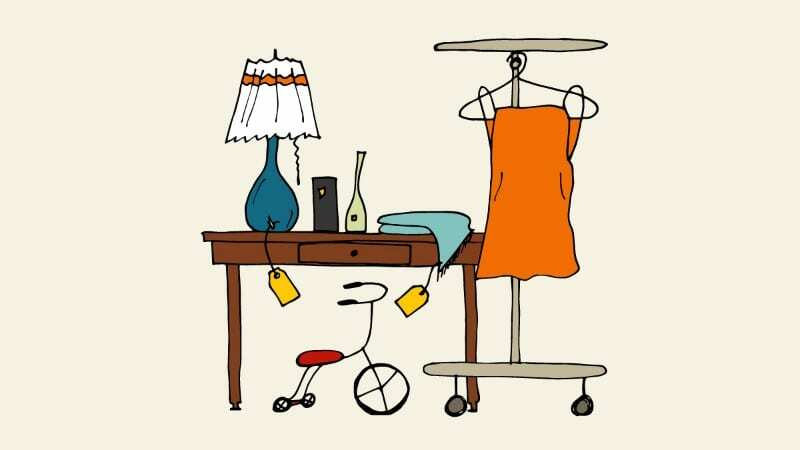 Do you love to hunt for amazing vintage clothing items or good deals on name-brand items? Turn around and sell those on apps like Poshmark, which is popular for clothes, purses, shoes, and more. There are people who have a serious teacher side hustle on there once they figure out which vintage items to look for and then sell. No, not playing the banjo or guitar, though that’s not a bad teacher side hustle either! This idea has to do what the American Pickers do by finding hidden treasures and then reselling them. It could be a great way to justify your love of rummage sales or antiquing. 9. Drive for Uber or Lyft. Whether you prefer Uber, Lyft, or one of the other “earn money on your own schedule while driving” services, this is an easy gig to try this summer. Be aware that some cities are being inundated with drivers, so make sure to do a little research on which one to sign up for in your area. 10. Offer cleaning or other home services. You can definitely advertise this on your own. But you might also consider checking out Amazon Home Services, where you can advertise your availability. Cleaning can be a really relaxing gig and great for those who prefer to be alone. Plus, the rates can be pretty good, especially when you set a minimum. 11. Run a delivery service. If you like driving but don’t want to drive people, here’s another idea. We’re in an age where you can get almost anything delivered to your front door. There are several services you can sign up with to be a delivery driver, using your own car. Door Dash is one of them. Another couple to check out is Amazon Flex and Postmates. 12. Get paid to shop. Similar to delivery services, you can earn money while shopping for others. Grocery delivery is very popular these days, and companies need shoppers. Shipt is one option, and Instacart is another. 13. Rent out your house on Airbnb. If you’re feeling brave and have the space, offer to rent out a room on Airbnb. Another option is to rent out your entire place. This is an especially good idea if you’re traveling this summer. You could be making money while you’re off somewhere else spending it! With Airbnb offering insurance and charging guests taxes directly, it really is easy. 14. Rent out your car with Turo. Yep, it’s a thing. If you’re not using your car, consider letting others use it through the Turo app. Let others make your car payment for you! 15. Be a local tour guide. Teachers make great leaders and speakers. Take a look to see what local tour companies exist in your city or neighborhood. You might be able to make a few extra bucks while leading a brewery tour, foodie event, or historical walk. If they don’t exist in your town, consider starting your own! 16. Make meals for others. Do you love cooking? Learn how to take your love of baking and making into cash. You can start a meal service locally, through a gym, or just with your friends who don’t like to cook. When you do this in bulk, it can really be a good earning opportunity. Here are some tips to get started. 17. Sell your own talents. Experiences are the next big thing, with people offering their expertise directly to consumers. Airbnb offers an option to book experiences in your area. You can also look into a site like Skillshare to offer a class online. Dabble is another one we love, and Fiverr is also worth exploring. 18. Start an organization business. Marie Kondo proves organization never goes out of style. Here’s what happened when one teacher tried her method. Start up a side business for those looking to add a little more structure to their lives. For this one, focus on taking on just a few clients to start with. Post in your own neighborhood groups or professional networks for starters. 19. Be a virtual assistant. Similar to organizing, being a virtual assistant is something many people could do. This might involve getting a local business person’s accounting organized or taking on appointments or emails for someone. It really could include anything. So if you like working with people and can help in this way, spread the word. 20. Sell your stock photos. You know all those photos you take? Now you can turn them into cash. Here’s a good article outlining the process and comparing different sites. 21. Offer a photography business. If your photography talent goes beyond stock photos and you like dealing with people, consider taking pictures of people. Senior portraits are a big business for many, and you already have an in with contacts by being a teacher. Keep in mind that if you are going to get into this business, it can be really competitive. Be professional and set it up like a real business if you want to be taken seriously. 22. Become a ref or ump. If you love sports, then this one is for you. It’s also a great option if you need some flexibility because you can take on gigs around your schedule. 23. Weed, mow lawns, and do handy work. If you can do any of the above, you can quickly put up a Craigslist ad for free. 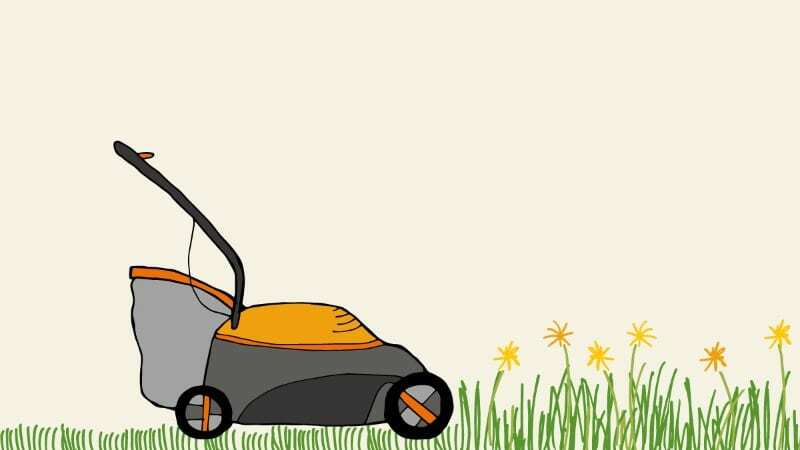 You can also use nifty services like Lawn Guru(think of it as the Uber of mowing lawms). You can also try Handy or Task Rabbit. If you’re a little unsure about putting up a Craigslist ad, just remember that you don’t have to say yes to anyone. Carefully screen people first. 24. Check out a temp agency. If you truly have nothing to do and you’re looking for a little work, go into a local temp agency for a seasonal gig. It’s a low-risk option for making some extra money. 25. Become a real estate agent. 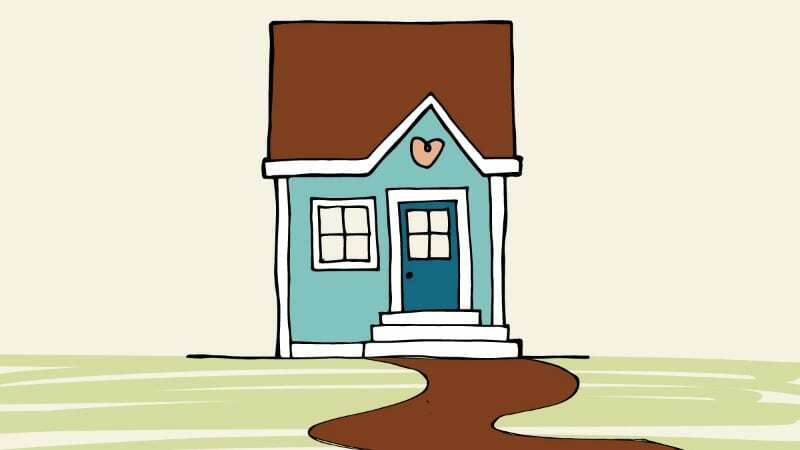 You can be a part-time real estate agent, taking on just a few houses or clients at a time. Plus, if you’re a teacher who has summers off, this is the perfect job for you because that’s the height of home-buying season. 26. Sign up to teach an after-school program. Teaching hobbies is a trend that many companies have turned into a business. You can sign on with a franchise like Musik Garten. (There are also cooking, drama, and science franchises that vary by state.) But consider starting your own, too. It would be more profitable, and you can offer your classes or programs to schools, libraries, and community centers. Coffee shops are open early, and that 4 am to 7 am slot isn’t always easy to fill. If you’re up for a challenge and want to take on an early shift, check with your local coffee shops and give it a try. The free coffee you’ll get will be a nice perk, too! 28. Do a medical study or focus group. Search “medical study in __________” (fill in your city or state), and you’ll likely get leads on places that offer money in exchange for testing on your body. (Not all are as scary as it sounds.) You can also often find studies or focus groups listed on Craigslist or similar sites. Some of these might just pay a couple hundred bucks for your time, but if you get in a big one, you could make a few thousand bucks over the course of a week. 29. Work special events and concerts. You might see one of your students working the same gig, but who cares? You can often find work like this if you live in a place with lots of concerts, events, and shows. Again, checking Craigslist might be a good way to start. Look under the gigs area instead of the jobs board. 30. Become a drone pilot. This one takes a little work, and it’ll take some investing up front, but if it sounds like a dream gig to you, check out how you can get started. Yes, please. We are always open to writers, and we actually pay! Here’s a free freelancing tip: Pitch a strong article and get familiar with the site. For instance, you don’t wan’t to pitch an article on amazing teacher podcasts because we have that already! 32. Write for School Leaders Now. We have a second site you can also write for called School Leaders Now. You might be thinking, “Well I’m not a principal, so I can’t write for you.” Not true! A school leader is defined in so many ways, so put together an article idea and send it our way. 33. Write for other educational websites. We say “other” in a loving way. There are lots of websites out there needing freelancers and companies looking for curriculum writers. Check out the jobs page on eNotes or just go to your favorite educational publisher or company and ask if they’re looking for teacher writers. Warning: Not all of these opportunities pay the greatest, but they could be a good way to get your foot in the door. 34. Market your own website. If you have an existing website, you can check out affiliate programs, like ShareASale, that allow you to earn money from ads and other affiliate offers. Another similar one is MaxBounty. 35. Open up an Etsy shop. Are you that teacher who has a perfect Pinterest classroom and is just naturally crafty or artsy? Take that talent to Etsy. We recommend specializing in a craft to start with. This way you can build up your reputation and ranking in Etsy search. We also recommend doing a little research first so that you’re not offering something that many people already do. 36. Sell your craft locally. Lacking motivation for that Etsy shop? Grab a crafty teacher friend and start up your own local shop, testing the waters by offering items at a local store or farmers’ market. Maybe the two of you will come up with a brilliant idea that sells like crazy! 37. Try a home-party business. There are all kinds of home-party businesses out there, and there’s a LOT of controversy around them. See our article on teachers and network marketing. But if you have one that you truly believe in and there aren’t a lot of people selling it, then go for it. 38. Be a pet sitter. You can find pet sitting gigs locally, but Rover is really where it’s at. 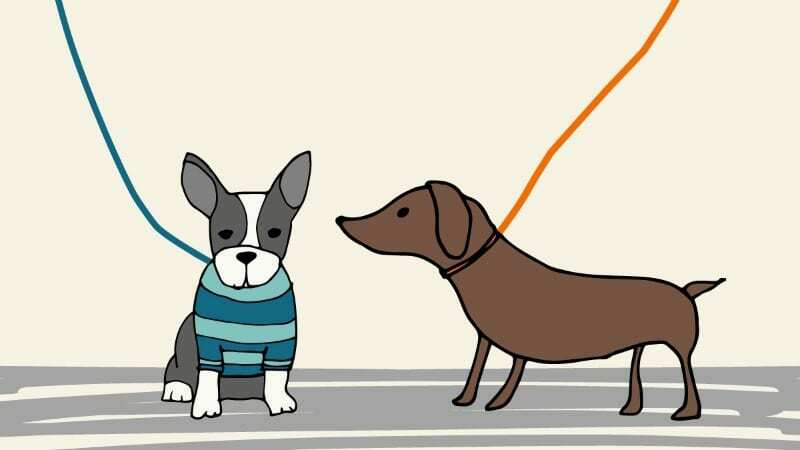 Sign up, create a profile, and then make yourself available to pet sit! You can either sit at someone’s house or host at yours. It’s an easy way for an animal lover to make a few extra bucks for something they already love. If you’re into dog walking, try Wag. 39. Be a camp instructor. For those of you who don’t need a break from kids, look into being camp instructor. Camp instructors might not make much money, but if you do one you love (e.g. STEM camp, nature camp, etc. ), it might be worth the experience more than anything. 40. Be a sitter or nanny. 41. Earn income by house sitting. It sounds too good to be true, doesn’t it? You can just earn money by hanging out at someone’s home? It’s true! Plus it could be a good way to get in a little vacation for yourself. Learn more about it at HouseSitter.com. 42. Become a user tester. You can give sites and companies feedback by testing out their products, reading their material, etc. User testing connects real people to companies who need this service. Check it out here. 43. Sign up for summer school. 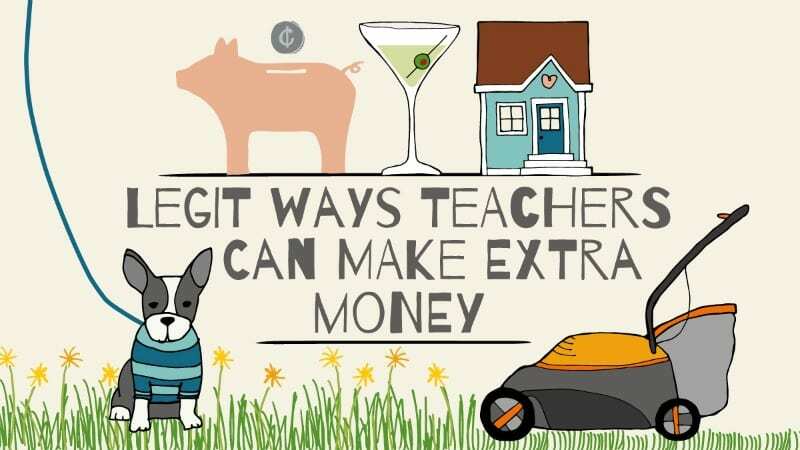 Signing up to teach summer school is a natural way for educators to pull in some extra income. The time requirement is often shorter overall. If your school doesn’t have summer school or openings, check nearby schools. This one has been around for a while, and it’s still valid today. Take a look at why platelets are so important and then look for a place in your area to donate. 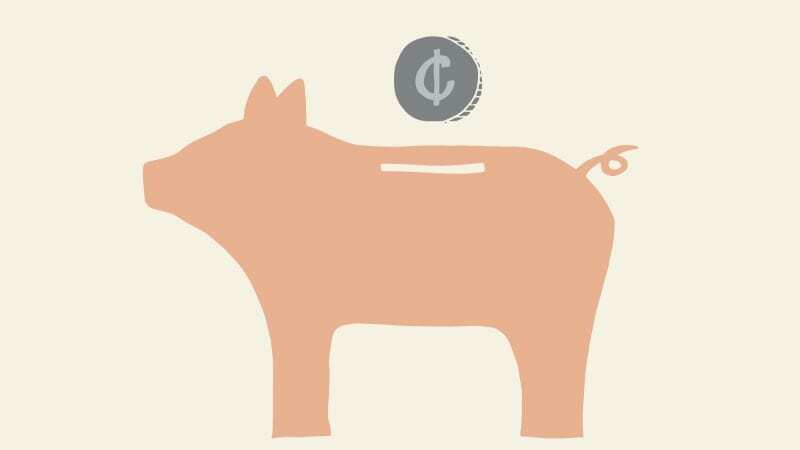 Typically, you can earn up to $50 per donation. 45. Get certified in a fitness specialty. Are you a fitness guru? Take the summer to finally get certified in yoga, pilates, or another area. It might be an upfront investment, but this way you can stay fit and earn year-round while teaching evening or early morning classes during the school year. 46. Start a social media business. Nearly every brand or company needs social media these days. If you’re savvy at Facebook, Twitter, Instagram, or others, market yourself as a social media guru. Now this is a legit, full-time job for some. But if you’re looking to get started, go to local brands that you already follow or are a customer of. Ask them if they need help on social media. It might only be a small amount of earnings (or just free stuff instead), but it can be a nice start! Hint: Start with brands you naturally love. They’ll see that, and you’ll do better overall. 47. Use your vehicle to advertise for others. Patio season offers more opportunities to pick up bartender gigs. Ask friends who are in the service industry. This is an area where a recommendation can go a long way. 49. Earn money through recycling. Not all states will have things like the bottle bill, but it’s still worth looking up earning options through recycling. Recycling scrap metal can also help you earn, if you have access. 50. Sell your old electronics. Before they get old(er) and (out)dated, try selling your electronics. Amazon might offer to buy them. And we also recommend checking into Gazelle. Know more ways to earn extra money? Come and share in our WeAreTeachers Chat group on Facebook. Plus, take a look at these companies that hire teachers during the summer.